I am the lieutenant – better known as the lefty – who is responsible for ensuring that the administration of Publications Committee runs smoothly. I am also there to assist Clare in her editorship should she require it. My favourite thing about Glasgow is definitely the people who are in it – everyone is so friendly and approachable, compared to those where I’m from down south. The amount of times a stranger has began a conversation with me, or tried to help me out, are innumerable. I started to get involved with [qmunicate] after one of my blockmates from first year, Aoife, recommended it to me. We were talking about an article that she was writing for it at the time and told me to come along to a few meetings! It all snowballed from there. My advice is to throw yourself in and write about things that interest you, and things that you want to find more about. Journalism is all about getting to the root of an issue, or expressing a unique opinion and these can be readily developed here. Get involved and join the debate! Why should people get involved with the QMU as a whole? 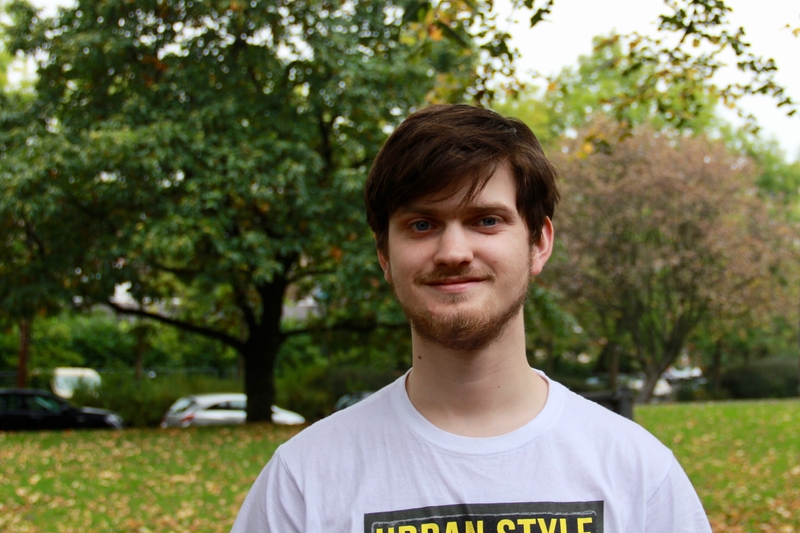 I got involved in the QMU through wanting to make changes to a union that I thought best represented the student body as a whole, and one that was able to change with the membership with a way that the other three were unable. Making a difference here doesn’t require anything else but determination to improve the student experience for fellow learners and I would recommend the experience to anyone who has walked in the building and thought that the QMU could do better. What advice will you pass on to the next Lefty? I would say to the next Lefty that they should be ready to assist the convener as much as possible. You help them to realise the ideas that they have for the magazine. You also have to ensure that the committee is well fed with Percy Pigs, and that the Facebook group is updated with accurate task lists!